$3.99 to $199.99 & FREE Shipping on orders over $59 $35. A new arrival from New Zealand, Nelson Sauvin is sure to delight those looking to impart a unique aroma to their beer. Nelson hops are an excellent dual purpose hop that can be used to produce a punch or sparingly for subtler bittering qualities. The aromas have best been described as resembling a white wine "fruitiness" with fresh crushed gooseberry and grape infused tropical flavors. Ideal for American-style Pale Ales and specialty beers. Because Nelson. Who knows where it will go. Trying a new hop variety. 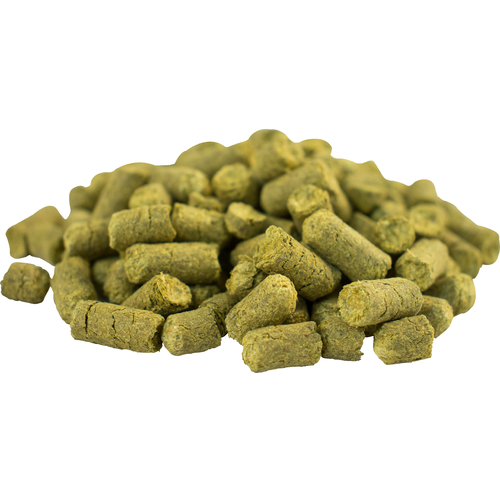 You guys have the most affordable Nelson Sauvin Pellet hops available. I am hoping this recipe I have for "Regal Pale Ale" turns out great. Everyone is raving about this hop. Nelson Sauvin, paired with Mosaic for dry hopping, has been my go-to combination for IPA's. Always a great aroma, great flavor, and a fantastic complement to the "fruitiness" of Mosaic hops in IPA's. My favorite dry hop and late addition hop. Adds a very unique and very intense “dank” grape-y flavor. Perfect for an IPA or sour saison. I typically use about an ounce per 5 gallons. It works especially well when paired with Citra, Mosaic, and/or Galaxy. High aroma. Fruity. Will make a great dry hop.